To put that into perspective, that's 7.6m units this year versus 9.3m units last year, basically 82% the shipments this year versus last. Both Canon and Nikon are still forecasting increases in DSLR sales this year over last. 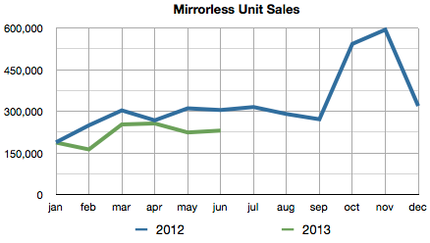 The stats for first half mirrorless sales are 1.6m units in 2012, 1.3m units in 2013, or 82% this year versus last. More interestingly, only 10,235 mirrorless cameras were shipped to the US in June. That's 1/6th what was shipped to Japan, 1/5th what was shipped to Europe, and 1/10th what was shipped to Asia. But they're making it up by selling more high end products, right? I'll have a further analysis of the Canon/Nikon results when Nikon posts their first quarter financial results next week, but we've already heard from a few other players about their last quarter results. Take Fujifilm, for example. You have to look in the appendix to see the results, but they had total sales of cameras of 20.6b yen in the quarter (down 19.8% from last year), which helped take the division (which also does film, optics, and supplies for other camera makers, mostly smartphone makers) to a loss of 0.9b yen (down from a 2.5b profit last year). Fujifilm didn't call out enough detail to see just how much of that loss was caused by cameras. Given their adjectives and verbs concerning other parts of the imaging business ("robust," "smooth," "rose"), one would have to surmise that the loss in cameras could have exceeded the 3.4b difference, year to year. Let's see, 20b in sales, 3.4b+ in loss. How's that for a negative return on investment? Of course, Fujifilm is a strong, healthy company overall, with total profits for the quarter before taxes at 30.3b yen. Hey, so it could have been 10%+ higher without that camera division, no big deal, right? Sony, meanwhile, showed a 479.4% increase in overall operating income year-to-year. The Imaging Products and Solutions group, however, was down 35.7% in operating income year-to-year, though. They did say that they think they'll have their previously estimated sales level for the full year, basically because currency exchange differences are offsetting the "downward revision in the annual unit sales forecasts of video cameras and digital cameras." Sony's forecast for still camera sales for the full fiscal year is still 12.5m units, therefore, down from 17m sold last year, or an expected 26.5% drop in camera volume overall. Sony did say that they would be "adding new models to the DSC-RX series." The real question is what's going to happen in the next two quarters. All of the forecasts I've seen from the camera makers still exceed what all the models I've seen say will actually be sold, and as I pointed out last week, there's still plenty of older generation products sitting on shelves. Last year about 98m cameras were shipped by the Japanese companies. My original forecast for this year was 75m units, but even that's looking in jeopardy. The first half of 2013 produced only about 29m+ units shipped. Even allowing for a 20% bump for Christmas run-up, that's barely 60m units. Put another way, one can see that the camera market might shrink by a third this year. 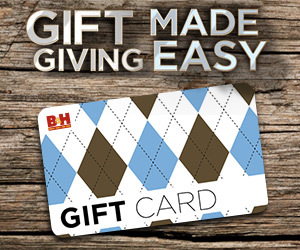 The better part of the equation is in the dollars, not the units. 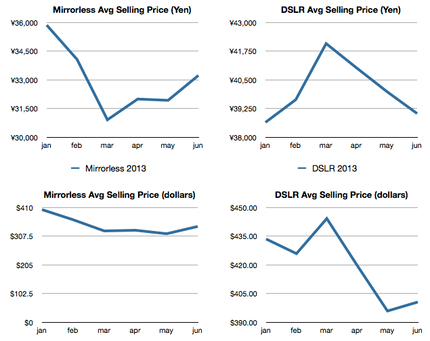 DSLRs and mirrorless together dollarwise (again considering a 20% bump in the second half) would predict 647b yen in sales this year versus 751b in sales last year, a 14% slump. That's a lot better than half. Compact camera sales? Try a 30% or so slump, maybe a bit less. 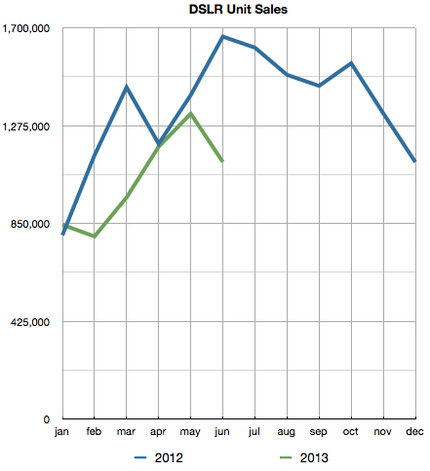 The CIPA numbers already clearly show a shift in average selling price. Last year the average compact selling price was 9,168 yen. In June, the average selling price was 11,083 yen. Given the statements from the makers, it will go up still further in second half of the year.